On Thursday July 16th #FoodTVChat welcomed Chef Jernard Wells, winner of the Food Network Cutthroat Kitchen, and aka Tha Love Chef as our Guest Chef. Chef Jernard definitely shared the love and we had a blast of a #FoodTVChat! The first thing everyone wanted to know from Chef Jernard of course was how he first got the name The Chef of Love. The answer was that it all started when he started his very first food enterprise at 16 years old, out of his mother’s kitchen. He said every order was delivered with love. But as Sharon Damante, All Star Academy Alum noted, Chef Jernard’s sweet smile has love written all over it! We were also excited to annouce the winner of Diva Foodies’ first Virtual Chopped Contest judged by Chef Jernard Wells! The Earth Fare sponsored gift card went to Beth Kern. Drum beat please .. chosen by @Chefjernard the winner of the #EarthFare gift card is @bitz4bk #foodtvchat Congrats! If you missed #FoodTVChat with Chef Jernard, the full stream is here and below is our recap #FoodTVChat with Chef Jernard Wells…. What does “the best food is made from love” mean to The Chef of Love? @DivaFoodies I strongly believe no two people cook alike and that's why I believe cooking with emotion. What advice would Chef Jernard give to those hoping to compete on a compeitition like Cutthroat Kitchen? @DivaFoodies pay attention to everything Alton has to say. Where does Chef Jernard’s creativity come from? What was the most important advice Chef Jernard received from #FoodTV judges? 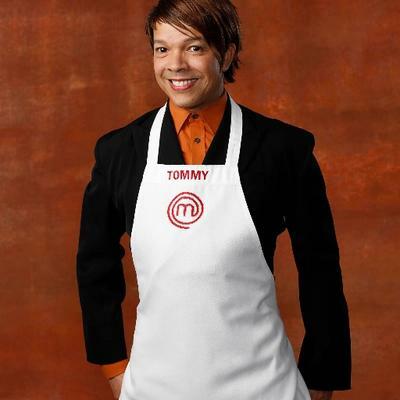 @DivaFoodies the most important advice was, "always cook from the heart!" Cooking with hot stones under water was Chef’s most difficut sabotage. @DivaFoodies cooking with hot stones under water. I dealt with it by remaining calm. Chef Jernard is launching an cool product for kids – Amazing Box. Logan, from MasterChef Junior wanted to know what was in the box. We thought it was extra cool that some include tools to plant your own herbs. What is Chef Jenard’s favorite recipe from his best selling cookbook, 88 ways to Her Heart: “Cooking for Lovers” from the Kitchen to the Bedroom? @DivaFoodies skinny dipping shrimp cocktail. 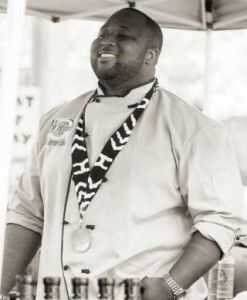 Passion and Ambition are what drives Chef Jernard’s many successful ventures. As you can see from the recap, Chef Jernard Wells is all about L-O-V-E and The Chef of Love couldn’t be a more fitting title could it?! For all the love, check out the full #FoodTVChat stream here. 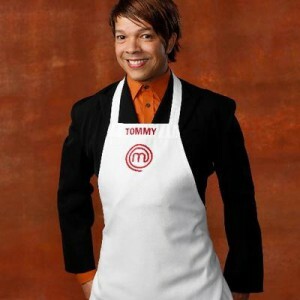 This week, Thursday July 23rd at 7PM Eastern, #FoodTVChat will be welcoming Master Chef 6 finalist Tommy Walton. Join us!